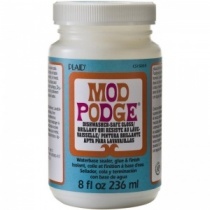 Mod Podge - or Modge Podge as some would have it - is all-in-one glue, sealer and finish. 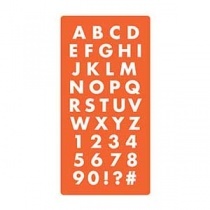 Its waterbase makes it easy to clean and is non toxic so safe for younger crafters too. 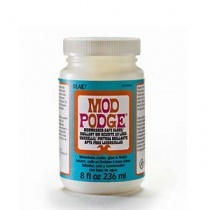 Mod Podge's range includes gloss and matte finishes, antique and dishwasher safe mediums and sealers suitable for outdoors or with an extra hard coat. Mod Podge have now expanded their range to include papers, melts - a great way to create your own embellishments and jewellery - and moulds.